Course: A46 ARCH 478A. 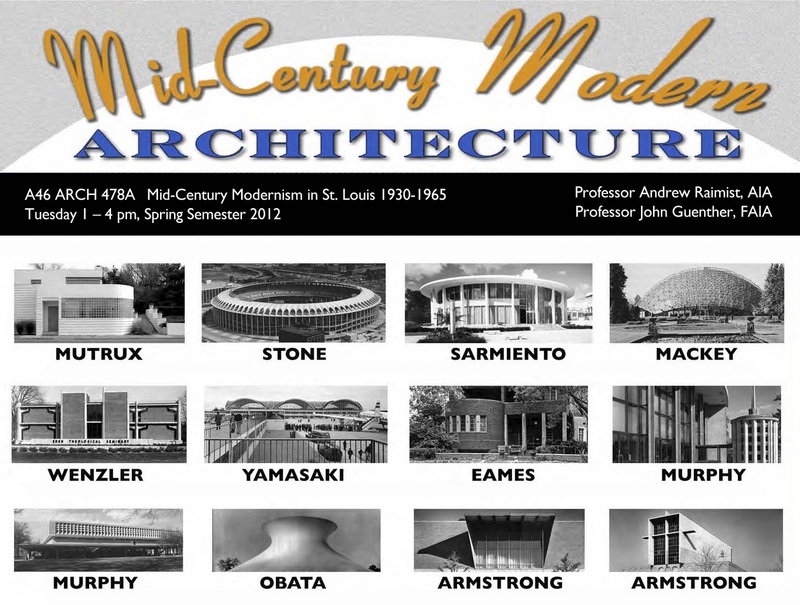 Mid-Century Modernism in St. Louis 1930–1965 (Credit 3 units). 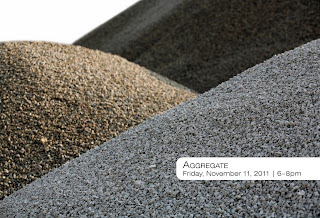 Images represent subjects of student research projects from Spring 2011. 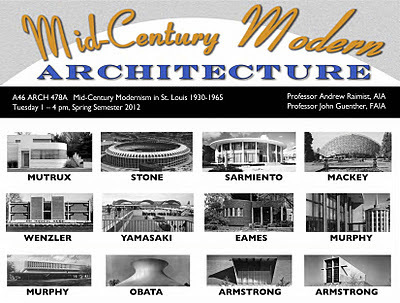 This course offers students the opportunity to visit, document and research prime examples of Mid-Century Modern Architecture in St. Louis. The city has a rich heritage in 20th century modernism and many excellent works that are not well known. Our weekly visits will include talks and tours with designers, architects, clients and historians will put the work into historical and cultural context. The exhibit at the St. Louis Artists' Guild, "Sustainability and the Built Environment in St. Louis" will have its last day on view tomorrow Saturday 7 January. If you haven't seen it yet, this is your last chance. This video is a documentation of the panel discussion hosted by Jean Ponzi of 88.1 KDHX / Earthworms fame. The exhibit is part of the Aggregate series encompassing a wide range of works including photography, architecture, sculpture, mixed media, graphics and community arts projects.